Baguio City is known for being a melting pot of cultures and this says a lot about the food you can try when you’re here. The good thing about this is that we have a lot of cuisines like the Vietnamese, which is not just delicious but also healthy. We have to understand that eating three meals a day is not enough for us to say that we are getting the proper nutrition that our body needs. We have to make sure that the food we take in is good for our health. And as a part of our 2019 resolution, let’s aim for a healthier and better lifestyle. So why try Vietnamese food? A lot of Vietnamese dishes make use of herbs. However, you may not know that they’re not only meant to add flavor to the food but also to make sure that it is a healthy meal. For one, mint, which being used in many Vietnamese recipes, is known to be good for treating upset stomachs while Thai basil protects the body against viruses or infections. Most of Vietnamese recipes are made up of fresh fruits and vegetables which makes them good for those who like to loss weight. With low levels of calories and unhealthy fats, you can enjoy Vietnamese dishes for breakfast, lunch or dinner. It helps protect you from diseases. Vietnamese food, made up primarily of fruits and vegetables, are packed with vitamins and minerals. A perfect example for this is the Pho, a Vietnamese noodle soup that is considered by doctors as a good remedy for colds because of the spices in it like coriander and anise. 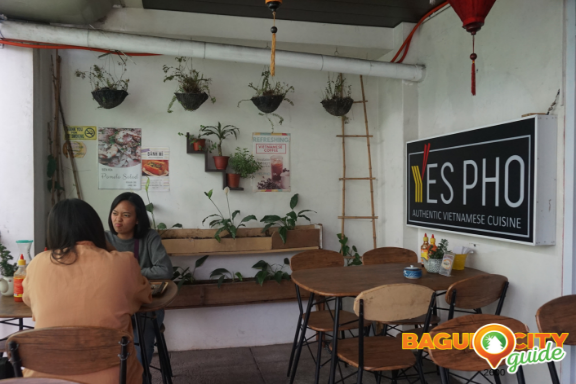 Mr. Peter Trinh and his wife decided to set up Yes Pho here in Baguio City to introduce and share Vietnamese cuisine to both locals and tourists, after discovering that no one serves such food here. 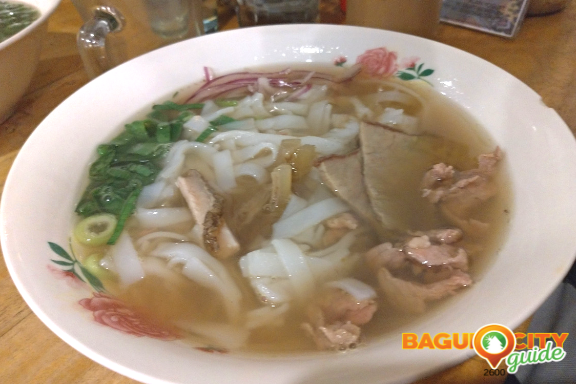 Way back 2016, Yes Pho was first located at Camp John Hay and was later on transferred to a new location in Engineers Hill. Now, they’ve been operating for a year and eight months, continuously catering the people. Yes Pho’s pomelo salad is a must-try dish. It’s a mixture of different flavors – the sourness of the pomelo mixed with shrimp and pork plus sesame seed and wansoy. This dish will not only satisfy your cravings but most importantly, it would help reduce your weight. Nothing is wrong if we’re fond of eating a lot as long as we choose to eat what will keep us fit and healthy. Also, you should know that it’s not too late to change your eating lifestyle. Always remember this: A strong mind can get you somewhere but a healthier body can take you a long, long way. So make the right decisions and successfully achieve your health goals this year .